For Provo students, school is in full swing. And now is the perfect time to get in the habit of riding as a family. Kids that ride their bike to school start the day with exercise, become more aware of their community, and are better able to concentrate on their studies. During Provo Bike-to-School Week, our local elementary, middle, and high schools will offer a variety of programs to help kids get in the habit of riding to school. Students who bicycle to school will have the opportunity to win daily prizes and a weekly grand prize from Mad Dog Cycles, Taylor’s Bike Shop, Racers Cycle Services, Canyon Bicycles, and Outdoors Unlimited. Several schools will offer bike safety checks and group “bike buses” of students riding together. 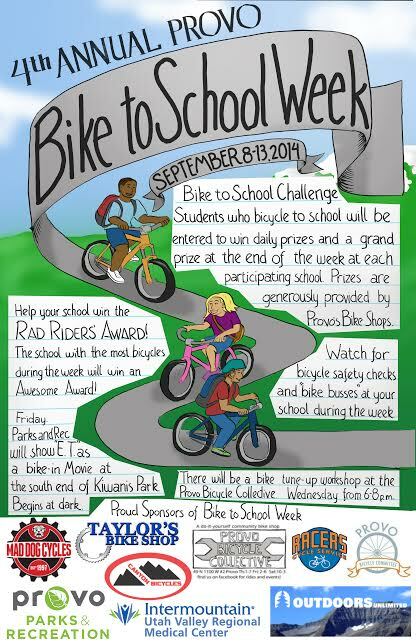 You can also compete against other participating Provo Schools for the Rad Riders’ Award. Come to the Provo Bicycle Collective (49 North 1100 West Unit 2) on Wednesday, September 10th from 6-8 p.m. for a free tune-up workshop where you can learn how to do basic maintenance on your own bicycle. On Friday, September 12th, don’t miss the Bike-In Movie ET, sponsored by Provo Parks and Rec. This classic will begin showing at dark. Check back here (and be on the lookout for updates from your school) to find out more about Bike-to-School Week. Happy riding! Making a Difference … (Almost) Instantly! One of the primary pleasures of being involved with the Provo Bicycle Committee is helping to make Provo more bicycle friendly. Rarely is there instant gratification. But sometimes changes can be made quickly. At our monthly meeting on June 5, Doug Robins, the Director of Parks, briefed the nearly 15 folks in attendance about a variety of projects, including the bike skills park. 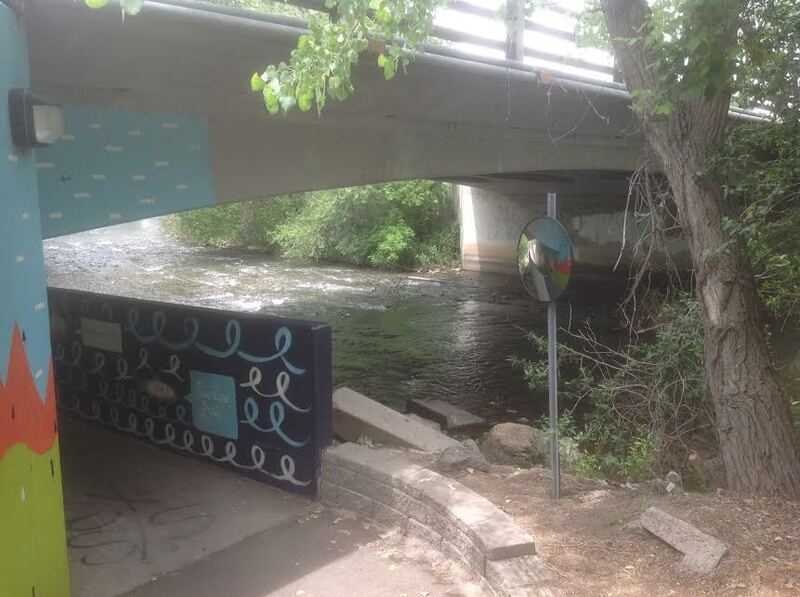 As we discussed how to remedy the bumps in the asphalt along the Provo River Trail, the issue of the blind underpasses was raised and committee member Spencer Hawkes suggested that Parks consider installing mirrors. About a week later, I received a call from Mike Hoffman of Parks asking for my input about precisely where and how to install the mirrors. Apparently Doug ordered the mirrors right then and there during the meeting. 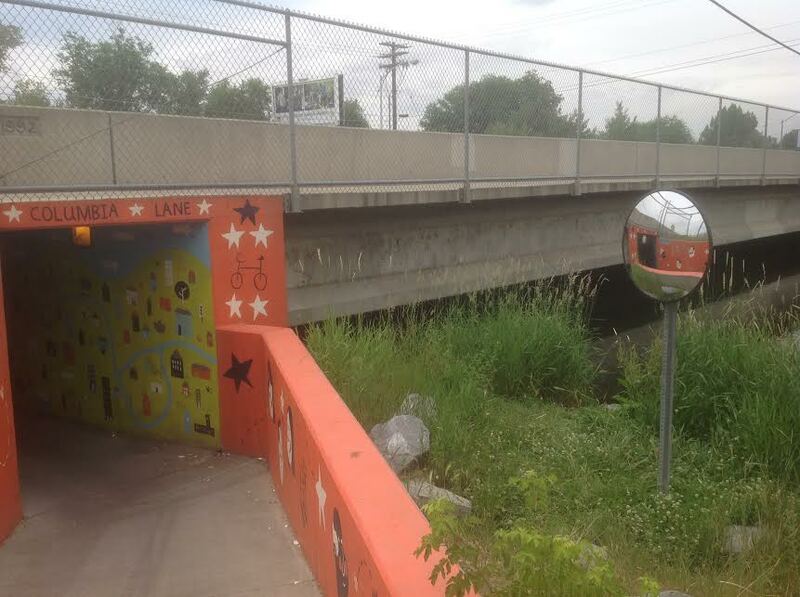 And just three weeks after the meeting, I received another call from Mike indicating that the mirrors had been installed at the State Street, Columbia Lane, 820 North, and Geneva Road underpasses. Now that’s quick and definitely gratifying. So here’s a shout out to the Parks Division for their support of bicycling in this instance and in many others. And a shout out to Spencer, who left Provo with his wife Sam for Boston this summer, for his many years of making a difference with the Committee as well as the Provo Bicycle Collective. We will miss you, Spencer and Sam, and (though this sounds a bit too grand) we will carry on your legacy here in Provo working to make a difference for bicycles, slowly but surely and sometimes (almost) instantly. What little things have you done to make a difference for bicycling in Provo? 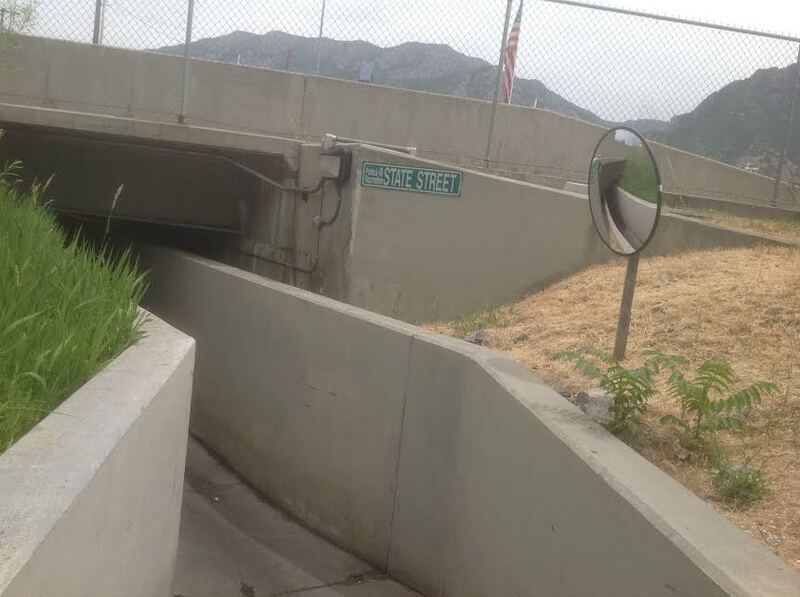 We’d love to have you share your stories (even the little things) on the Provo Bicycle Committee Facebook group. 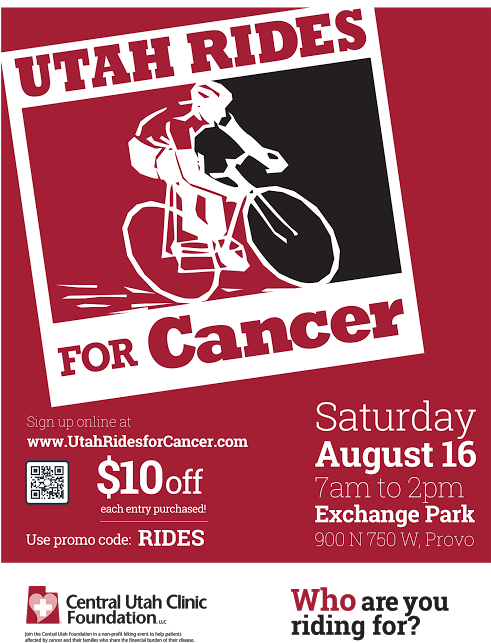 The Central Utah Clinic Foundation is hosting the second annual Utah Rides for Cancer event on August 16, 2014, from 7 a.m. to 2 p.m. The event brings the community together to raise funds and awareness for local cancer patients. Many cancer patients must travel long distances to receive their treatments, making trips to and from the clinic expensive and burdensome for them and their families. Central Utah Clinic Foundation strives to alleviate some of the burden of cancer treatments by helping patients pay for gas and lodging costs incurred through their travels to the clinic. Utah Rides for Cancer consists of three rides: metric century (70 miles), half metric century (30 miles), and fun ride (10 miles). The event will also include a bake sale and a gift basket auction. Each rider will receive a URC t-shirt and food after the ride.